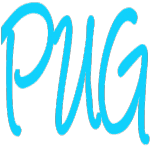 By joining the PUG you support the Group’s objectives and assist in the expansion, quality improvement and maintenance of satisfaction with Progress products. All membership fees are reviewed annually. We look forward to you joining us. Membership benefits may be enjoyed by all employees of the organisation. Named consultant, contractor or individual from an organisation. Membership benefits enjoyed only by the individual. Only one individual membership per organisation. Find out more the PUG. We welcome QAD users. Many of our activities will be useful to you if you run a large installation. If you develop as well, much of the content on OpenEdge Development will also be useful.